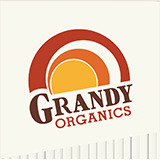 GrandyOats is located in Brownfield, ME. GrandyOats has been in operation in Maine for over 25 years. It has grown and changed since the '80s but they are still making quality certified organic granola. We carry three types of their granola, all in reusable, recyclable yogurt-style containers made from recycled plastic.